This morning, as I swept the boys’ basement bedroom I realized that it was quite damp. I have this “thing” about a damp basement, it cannot be good to sleep in this environment, my boys are not toads. I’m sick with a wretched cold, and weak, lacking energy, but this desire to fix the boys’ room (four of them sleep in the basement, it’s a beautiful room, finished off, but damp) got me out of the house this morning, with Jacob. Rich is away on a business trip (since Monday). He will be back home tonight. The days are so long and boring when he’s away. (the nights are, too, for that matter!) I’m reminded again about how much this life of mine is really about the two of us, as a couple. I wish we could spend more time together, but I’m thankful for his good job. Jacob and I went to Sears, Home Depot, and Costco and apparently everyone needed dehumidifiers all at the same time, because none of the stores had them in stock. We went to Five Guys, Burgers and Fries for lunch and I came home with a few random groceries from Costco and nothing more. It’s oppressively hot outside but Jacob and Ethan mowed the yard anyway. Jacob ended up breaking his lawnmower by hitting one too many rocks and they both came close to heat exhaustion. All done now, and they are reviving after showers and popsicles. I’m currently sitting downstairs watching the boys play because Seth tends to get into trouble and they yell at him…..they need to be watched. Sarah is RIGHT BY my side, wearing her Bitty Baby pajamas and holding her doll that is dressed just like her. 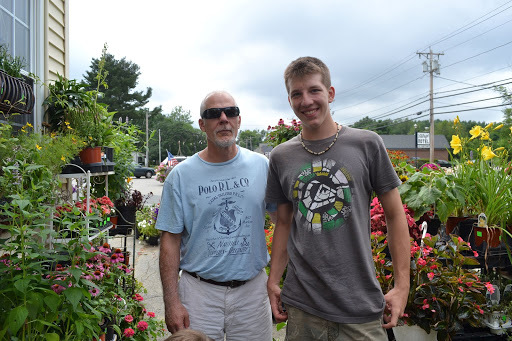 After the George Whitefield thing the other day, we met my parents for lunch and shopping. They live about 4 hours away so it was a treat to spend time with them. 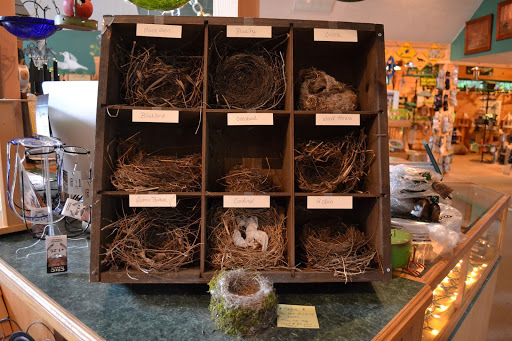 Mom and I loved this display of real bird’s nests, at the bird store. Each nest was labeled. mom, just outside a little shopping plaza. I loved the ivy on the buildings. we found a fabric store, and an antique store. 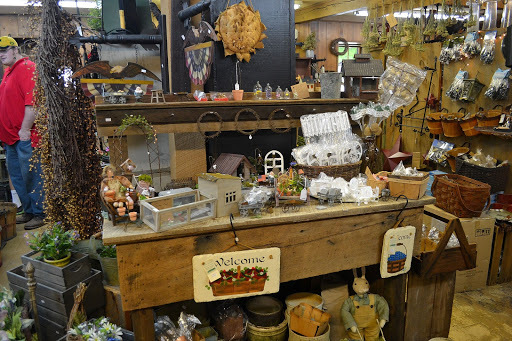 There was a display of things to make “fairy gardens” out of; tiny little fences and accessories like pots, flags, etc. I want to do this but I will make everything myself, not buy it. Shanda, let's hope the heat lets up soon. It just zaps all the energy out of us. Your son is so tall! My son too. It makes me happy and sad all at once. Hi! Ha…I just followed over to your blog from Gina's, close to the same time you did mine! I had to count your boys vs. girls at your header picture! I have 4 boys, 2 girls (girl, boys girl in that order). (Although it looks like my family might be around 15 years ahead of yours). And I looked and saw your strawberry picking post…and you mentioned in this, Costco, 5 guys..Home Depot…places I go to alot. Two of my boys used to sleep in our lower level. I paired the 2 older, and the 2 younger shared a room upstairs. It helped keep down the fighting to separate them..ha! I think it would be fun to make a little fairy garden. Probably expensive though. Oh, HERE you are! Now that I realize where you are I'll be watching for your posts. Sheez, the new blogs are so overwhelming! I'm still at xanga. they extended their deadline til the end of the month and I hope they make it! ha. Anyway, you've got some tall people in your household! love the ivy too! happy you got to spend time with your parents and praying for you that you feel better soon. LOVE the nest display. I think I have over 30 nests hidden around the house and in corners of the garden but I do not know what bird made them. I have some really small ones and often wonder! I am glad that you got together with your parents!! I love ivy climbing up! Our bougainvillea as climbing up the side of our home and I loved it! Unfortunately the gardener cut it down when we weren't home :(. I hope you feel better now. We use a dehumidifier down stairs at my mom's house. It is built against the dirt on one side, and has windows and the ocean on the other, so damp. My mom always liked having the distilled water as a by product for the iron. That outing looked so nice. I love the ivy on that building and the bird's nests! Hope you are feeling better by now! Colds are miserable. 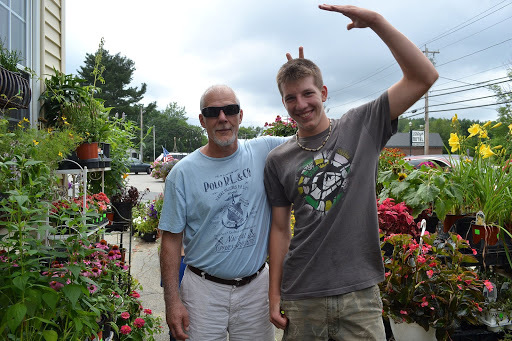 I laughed at the picture of Jacob with your Father. 🙂 He has gotten so tall! It's so nice that you were able to meet your parents half way that day. What a sweet family you have. You are blessed. I love that nest display! How amazing that would look on display in a home! I've also seen some sweet fairy garden ideas on Pinterest and thought how much the kids would love to have one. I might try my hand at it. You will post pictures if you make on yourself won't you? !